BOGOTA, Colombia – Radio Television Nacional de Colombia (RTVC) recently installed four Studer OnAir 3000 consoles. The facility has two radio stations: Radio Nacional de Colombia and Radionica, each having one OnAir 3000 console to broadcast their main signal. 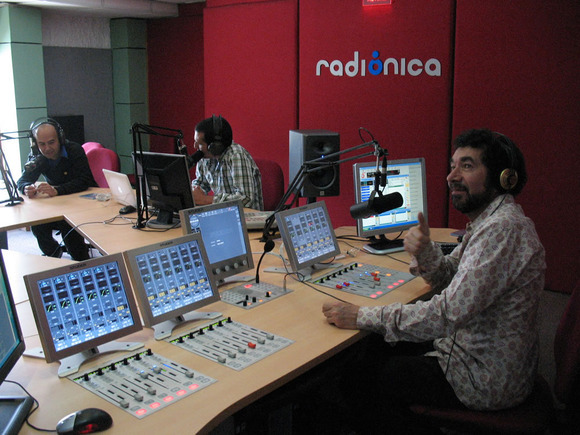 Radio Nacional has traditional programs with news and music, while Radionica adheres to a music-only format with more contemporary musical styles. Both stations operate without commercial programming, allowing for a diversity of content on each station. Another of the OnAir 3000 consoles is installed in a production studio, where internal material is recorded for both Radio Nacional and Radionica, while the fourth OnAir 3000 serves as a backup console and main router of the system, broadcasting the two radio stations through this console, which connects all the studios together. Along with this fourth OnAir 3000 are two editing modules where journalists can record interviews and other short reports for news programming. In this booth, journalists have access to signals that belong to the other OnAir 3000 consoles, allowing them to control each console independently and, if they so desire, simultaneously. At RTVC, there are two types of operators of the OnAir 3000 consoles: audio engineers and producers/journalists. While the engineers are highly skilled in radio and audio techniques, the producers/journalists use the consoles in self-control mode.